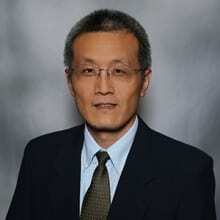 Dongsong Zhang joined the Department of Business Information Systems & Operations Management at UNC Charlotte as a Belk Distinguished Professor in Business Analytics. Before joining UNC Charlotte, he was a tenured Full Professor in the Department of Information Systems at the University of Maryland, Baltimore County. He received his Ph.D. in Management Information Systems from the Eller School of Management at the University of Arizona in 2002. His current research interests include social computing, health IT, mobile HCI, business intelligence, and online communities. Zhang has published approximately 150 research articles in journals and conference proceedings, and has received a dozen research grants and awards from the National Science Foundation (NSF), National Institutes of Health (NIH), U.S. Department of Education, Google Inc., National Natural Science Foundation of China, Chinese Academy of Sciences, and the Royal Society of British, etc. He has served as a conference chair or program chair of a number of international conferences and workshops, and is currently a senior or associate editor of multiple international journals.